Do You Need a Reporting Renovation? Home » RevEngine Marketing » Do You Need a Reporting Renovation? Reporting is hands down one of the most terrifying parts of a marketer’s job. All our hard work, brilliant ideas, and nervous campaign executions are exposed, and we have to come to terms with the essential question that keeps us all employed…Did it work? I get it; we as marketers employ a strange version of the Scientific Method. Equal parts science and art, we gather as much data as we can, come up with a wacky new concept, and throw it all against the wall to see what sticks. We form good hypotheses and try bold new things. Lather. Rinse. Repeat. Here are a few steps to get your reporting system looking less Brutalist and more Contemporary. Note that none of these steps involve working with plumbing or electrical: the source data underneath the report. This report has a start and end date, measures performance over a defined length of time, and clearly and cleanly answers one single question: Did we achieve the goal we set when we began this campaign? This report measures campaigns that are currently in flight, and seeks to determine whether we are on track to meeting our previously stated goal. This step is crucial. We need to understand the function behind each report so we know how to make sense of it. If we’re only ever compiling Performance Reports, we never get to step back and appreciate our successes or celebrate a really awesome quarter. Conversely, if we only ever generate Success Reports, we are constantly blindsided by a campaign that we thought was going really well actually turning out to be a huge failure. Or we have a monster success of a campaign and we don’t really know why that happened and we could have capitalized on the momentum earlier. Notice that each of these above reports require a goal to be set first. A campaign-specific goal should have been defined at the onset of a campaign, a revenue-specific goal should have been defined at the beginning of the quarter or year, etc. Having a goal gives the report orientation and purpose, because it forms the question that the report is meant to answer. No goal? Don’t bother pulling a report, because you won’t be able to make sense of it anyway. Sure, there are cases for running some numbers to establish a benchmark, but this is NOT the kind of report you want to send to your VP or executive team. Keep gut-check reports internal. Note: If you are asked to generate a report without knowing what goal/question the report is to answer, don’t hesitate to ask! Avoid the trap of being held to numbers or expectations you aren’t aware of. You don’t want to be in a situation where you send a report with number you think are on target, only to be caught off guard when someone else disagrees. One of the worst things we can do is send off a report without any synthesis for the consumer of the report. You don’t want to leave any interpretation to chance, so make sure on each slide/report/graph you include a So What line, or a Summary statement that helps the report consumer make sense of what she is seeing, so that you are reaching similar conclusions together. If your numbers are disappointing or otherwise hard to interpret, be honest about that, but make sure to provide some assurance going forward. By knowing that your AdWords campaign is performing terribly, you’re saving the company thousands in future wasted spend, and by seeing no pipeline created from a particular tradeshow, you now know that you can reallocate that spend toward doubling down on a high-performing show. No Insights: Hello team, below is this month’s email report. Please let me know if you have any questions. With Insights: As you can see with this month’s emails, the Best Practices content outperformed our average CTR by 42% (5.2% CTR). We may want to consider developing more of that content. For the third month in a row, The Monthly Bulletin unsubscribe rates continue to exceed all other communications. A further analysis is required. Every folder here has the exact same report, just with a different date range. By creating these reports once, validating them, and cloning them, you are making sure you have the exact same parameters for each. This allows you to compare period-over-period without worrying if the data for each is wrong. This also allows you to build Report Subscriptions so that your Last Month report gets sent to your inbox the first of every month, when the data is fresh and the most accurate. Example of a Marketo folder structure for streamlined insights. Make a spreadsheet that keeps track of all the reporting your team is responsible for. Have columns that display WHO the report is to be sent to, WHAT the data is supposed to show, and WHEN the report should be sent each month/quarter/year. This will not only help the team prioritize reporting with other timely needs that come up, but might help you combine reports or find new ways to connect your data. If you’re sending one report that measures new leads from social, and another that measures new leads from webinars, perhaps combine them into a New Leads by Lead Source report. Defining your organization’s KPIs doesn’t have to resemble the rebuilding of a house. Use some of the above steps to help remodel what makes the most sense. Good luck remodeling. The post Do You Need a Reporting Renovation? appeared first on RevEngine Marketing. I sat down recently with Martec master Steve Moody to get his thoughts on the […] The post Steve Moody Shares his Thoughts on Martec appeared first on RevEngine Marketing. I sat down recently with David Pitta, CMO of BrightTALK to get his take on […] The post Content and Sharks: An Interview with David Pitta appeared first on RevEngine Marketing. What a crazy couple of weeks for marketers who decided to head to both the […] The post The Decision: Sirius Decisions Summit or Marketo Summit? appeared first on RevEngine Marketing. Marketo Summit 2018 brought all the great marketing sessions, speakers and parties. More than that, […] The post Top Takeaways from Marketo Summit 2018 appeared first on RevEngine Marketing. Need one page to find all the parties for the Marketo Summit 2018? Well you […] The post The Big Marketo Summit 2018 Party Map appeared first on RevEngine Marketing. The Marketo Summit 2018 is right around the corner. Last year, over 6,000 attended in San Francisco […] The post The Ultimate Guide to the Marketo Summit 2018 appeared first on RevEngine Marketing. 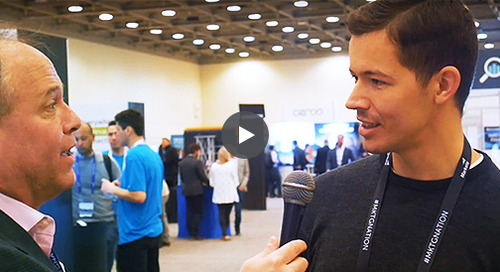 With the Marketo Summit 2018 upon us, the RevEngine Marketing team put together this quick […] The post Marketo Summit 3-Minute Video Preview appeared first on RevEngine Marketing. General Data Protection Regulation (GDPR) is the beast of all beasts when it comes to […] The post How US-Based Companies can Reduce GDPR Risk appeared first on RevEngine Marketing. The General Data Protection Regulation (GDPR) is the MacDaddy of compliance regulations that revolves around […] The post Six GDPR Questions to Get You Started appeared first on RevEngine Marketing. Segmentations are about to become your new best friend in Marketo. When used correctly, Segmentations […] The post 6 Marketo Segmentations You Should Build Today appeared first on RevEngine Marketing. Out with the old and in with the new – now’s the time to think […] The post Stocking Stuffer Marketo Tip #5 – Delete Bad Data Before the New Year appeared first on RevEngine Marketing. The calendar can’t be put on hold when midnight on New Year’s rolls around. If […] The post Stocking Stuffer Marketo Tip #4 – Backfill Intelligence and Data appeared first on RevEngine Marketing. Ever try to talk to someone and the person is just not listening? Why would […] The post Stocking Stuffer Marketo Tip #2 – Pause the Nurture Conversation appeared first on RevEngine Marketing. What’s it like starting a company in Montana while on a fishing trip? How is […] The post The Emergence of Direct Mail with Andrew Field appeared first on RevEngine Marketing.